An Honest Reporter, and His Antithesis Bob Simon was everything a journalist should be. Brian Williams could have profited from the example. I was at dinner at the home of a friend, a journalist, when the phone rang. I heard her say, “Oh no, no,” and saw her face: Something terrible had happened, not to her personally but in the world. She got off and told us that Bob Simon, the CBS News correspondent, had died. I knew she was about to add, “in the Mideast,” or “shot down,” but she said “a car crash,” on New York’s West Side Highway. My first thought was: What an injustice. 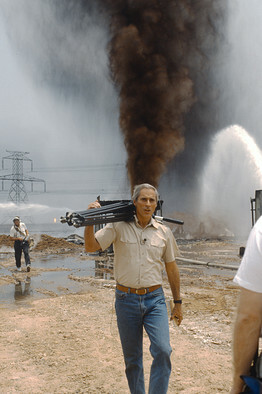 Bob Simon, who covered Vietnam, the Troubles in Ireland, the Gulf Wars, who was taken prisoner by Saddam Hussein —Bob should have left in the thick of it, in a war, dodging bullets. Nothing banal should have taken that soul away. He was a bona fide and veteran foreign correspondent. I knew him at CBS, where I am now a contributor, a young man but already a person of stature, known for daring and judgment. He was different from the clichés of his job: He didn’t have movie-star looks or a polished baritone. But he had guts, flair, the mind of a reporter and a clear, clean writing style that, on inspection, was more than clear and clean. All CBS, the next day, was in mourning. “Oh my God, this place just dissolved,” said his “60 Minutes” colleague Lesley Stahl. “Everybody here loved Bob Simon.” She had just come from a meeting of the show’s staff. “Everyone spoke, from the control room to reporters to editors to assistants, and everybody said basically the same thing, which is what he really wanted to be was a regular guy. . . . He didn’t want to be a big TV star, he didn’t want the trappings.” He wanted to walk the streets unrecognized. Bob Simon was 73. He was the real thing. And now the counterpoint. Some thoughts on Brian Williams. I watched like everyone else the past 10 days, at first thinking one bad embarrassment does not sink a career, and then seeing the embarrassments pile up. An acquaintance, a journalist, quoted an old Japanese saying to the effect that people forget everything after 2½ months. I think we forget the specifics, the ins and outs of a scandal, but we retain the essential word that captures it, and the word here is lies. That isn’t a word that can be attached to the public face of a major news organization. I think NBC essentially ended Mr. Williams’s career as anchor of the evening news, and did what they had to do. He could not continue as a reporter of the news, or an interviewer who elicits news, because he could no longer report or grill when the story is lies. And in modern America the story is always lies. The 2016 presidential campaign has already begun. There will be famous gaffes, fibs, embarrassments, embellishments. How can an anchor or reporter ask questions when his own tendency to invent and embellish is well-established and a subject of national mirth? Why did he invent tales of Bob Simon-like derring-do? He was already at the top and he was brave in the sense that everyone who goes to where the explosions are is showing physical courage. He was impressive without embellishments. He probably doesn’t know himself. Watching the story unfold I thought of a line from the 1974 film “The Gambler”: “They’re all looking to lose.” Everyone who gambles isn’t only looking for the high, the score, the win but also for the other thing they need, the loss, the brush with death, the adrenal jolt of being ruined. Mr. Williams’s fictions look very much like a form of gambling. They say he was warned, and he didn’t stop. He must have known each time he was telling an untruth that he was heightening the risk he’d be caught. He came up in the age of videotape and reigned in the age of the Internet. Someone was going to find something, and year by year they didn’t. He added to his stories the way a gambler on a streak increases his bets. “The rocket hit a helicopter” became ‘the rocket hit my helicopter,’ the crime in New Orleans became the gangs that overran his hotel. Lessons? Anchors shouldn’t be allowed to become anchor-monsters. When management knows its anchor tells tall tales, it has to have the means to stop him. Things that are too big to fail, fail. No one is safe anymore. Status is no longer a buffer. We know this in the abstract, but it’s still startling in the particular. Technology makes scandal faster and more completely devastating. They can hurt you with tape but kill you with laughter. Many people, uncoordinated and unaffiliated, can bring down a target by doing a full frisk of past statements on the Internet, that incredible tool. But as powerful a weapon is anarchic wit. If you went to #BrianWilliamsMisremembers on Twitter , you laughed at the picture of him standing with Lincoln on the battlefield, or reporting live, apparently as St. Joseph, on the birth of Christ. American wit is in very good form, and it can be lethal. It wasn’t only investigative work that shaped the outcome of the Brian Williams story, it was the number of people laughing. America is hungry for authenticity and honesty and fiercely resents its absence from places where it should be. A longtime reader of this column, age 84, emailed recently to say the heartbreak of his life the past few years has been witnessing the daily corruption of all information—the rigging of numbers and claiming of facts, the scientific papers that manipulate data to advance a political agenda, the misleading government statistics. We’re drowning in lies, he said.